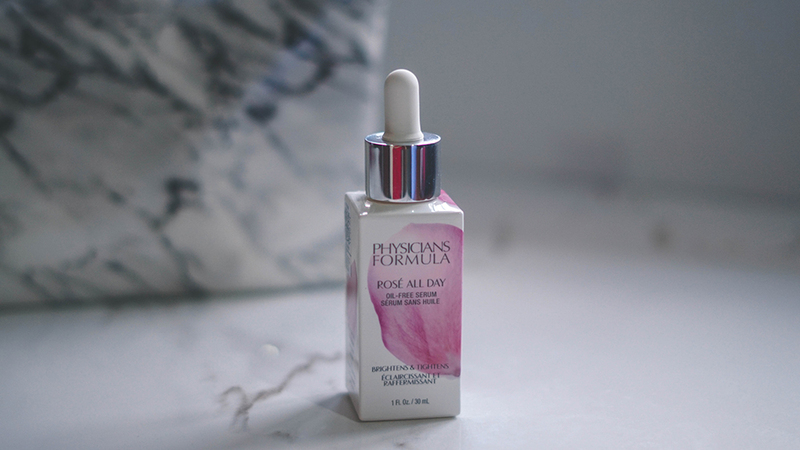 Within the first quarter of last year, Physicians Formula had launched their Rosé All Day Serum, and it was something that was pretty exciting for the beauty industry, just because there were not many serums that were introduced within drugstore makeup. Now I have been using this quite a bit over the last few months and I thought that I would share my thoughts on it just a little, and if you are the sort who has combination to oily skin, then you might want to listen up for this product may be something of interest to you. 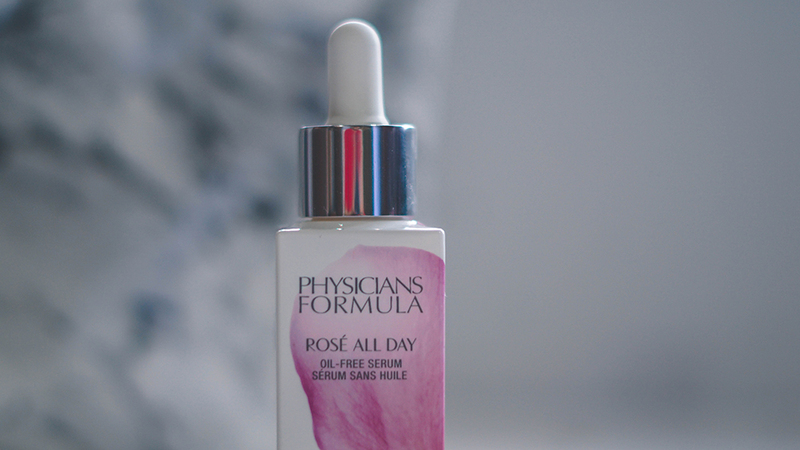 So to begin, the Physicians Formula Rosé All Day Serum is a brightening and tightening formula to create a radiant glow on the skin. 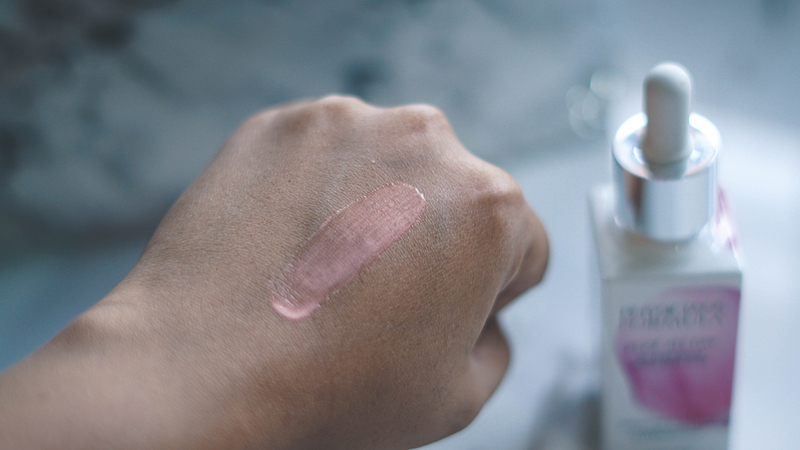 It was released at drugstores as a part of their Physician's Formula Spring 2018 Collection and as its name states, it has a nice lingering rose scent within that gives the skin a smooth and nourishing finish. 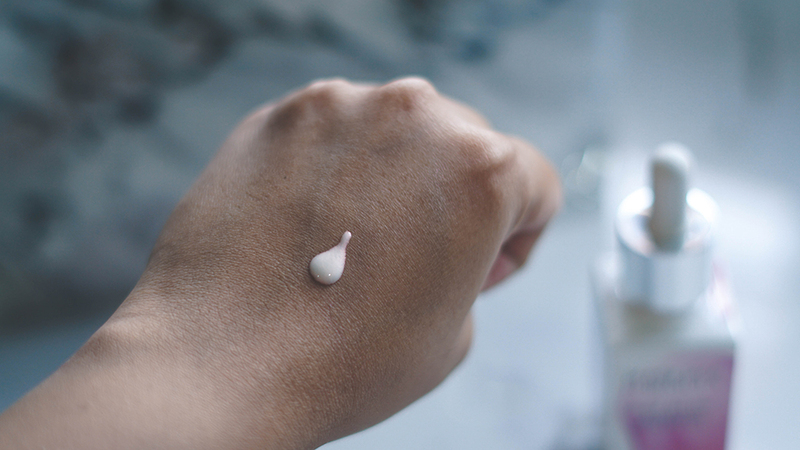 In terms of its texture, it has a liquid pearl-like formula that comes in a dropper- and as you blend it into the skin, you would notice a slight sheer pink hue to it which will disappear into a rather hydrating, sheer glow as you continuously blend it in. However the reason why I mentioned earlier that it might appeal to those who have oily to combination skin rather than dry, is because the texture of this is quite light and not as strong or as potent as I expected it to be for it to be considered as an additional step in a dry textured skincare routine. Nonetheless, it is oil free and clinically tested to give a boost of good vitamins to the skin, so it is something that is pretty great for oily and combination skin. It do love the way it smells though plus it does brighten the skin, so for a skincare item in the drugstore, I have to say that it is pretty decent. 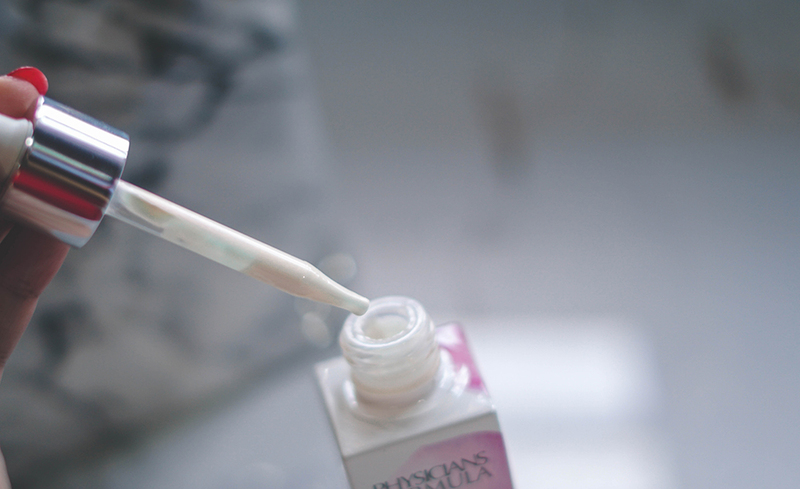 Now if you are the sort that enjoys minimalistic makeup, then this serum could be very flattering for your skin. That iridescent pink can add a touch of radiance and its lightweight texture could keep the makeup looking fresh and luminous. 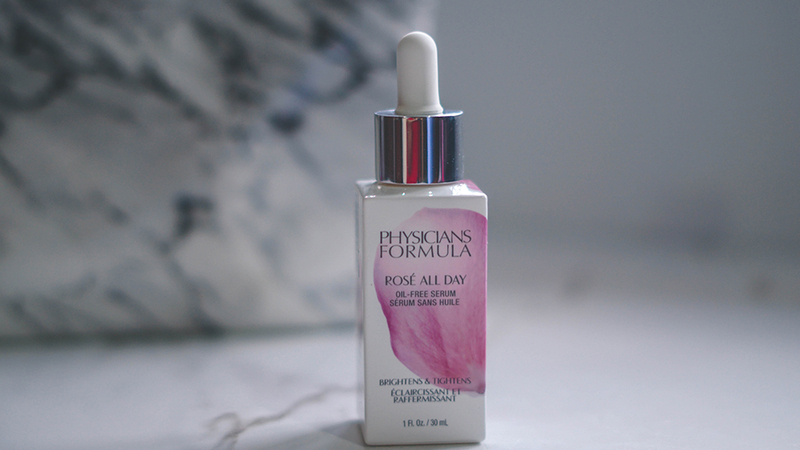 On overall, I have to say it is a good product, but maybe just not suited towards my skin type, for I often enjoy serums that have good skincare benefits in the long run, but this one seems to be one that is more towards the makeup side where its there to create a subtle radiant glow on the complexion. 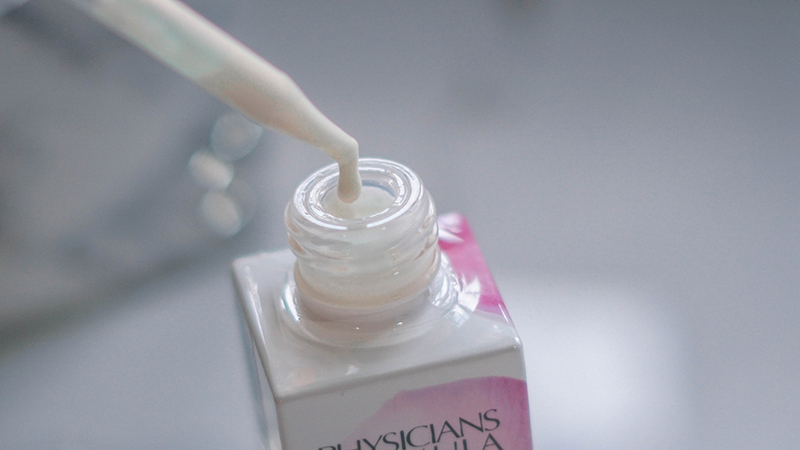 As for its retail, you can find it at RM69.90 per bottle and for further details and updates you can head on over to Physician's Formula Official Site as well.